This is the standard that was set last year and now we are trying to live up to. My most sincere apologies go out to all my loyal readers (hi mom and dad!) who have so sorely missed new posts and updates on CoachSass.com. Things have gotten a bit busy at this point of the summer, with recruiting, moving and spending almost two weeks in Germany. It would be unfair to just blame the recent hiatus on being in Germany, no matter how spotty the wifi was at the Estrel. I wanted to write and I wanted to update everybody on our march to the gold medal game, but every time I had ten free minutes, I always seemed to have something more pressing on my plate. Something more pressing does not necessarily mean bad, though. Each time I sat down and opened up the computer I knew that my top priority had to be my new job at Wesleyan. So all my free time the past couple of weeks has been emailing, calling, texting and contacting recruits. See, there’s a pretty significant standard that I have to live up to as the new assistant at Wesleyan. Coming into a situation where the program has not just had success, but won one of the top conferences in the country puts a lot of pressure on me. We return our top seven scorers and bring in six talented freshman. So the only change is me? I better not screw it up. In all seriousness, it’s not a fear of screwing up, but rather a pride thing that I want to help the program be as great as it can be. 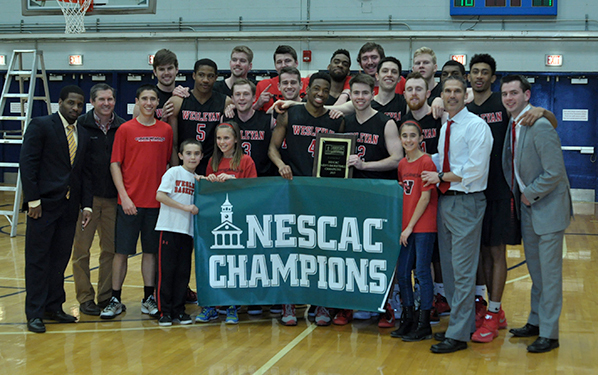 Last year’s team made a terrific run to the NESCAC championship and NCAA Tournament. Now I want to bring in the right type of players, input the right types of scouts and bring about the best motivation to allow this team to go even further into the month of March. But doing all that is not as simple as it may seem. Especially when you are living out of a suitcase. I have been sort of keeping my parent’s place in New Jersey as my home base for the past month and plan to eventually move all my stuff into the room I have reserved for me in Connecticut. I guess I just haven’t gotten there yet. But that’s alright. I signed up for that. And I’ll gladly sign up for it again and again if I can accomplish my goals of helping the Cardinals take steps forward. 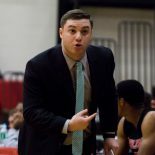 This entry was posted on August 11, 2015 by Coach Sass in Pratt/Wesleyan/Bard.